I'm slightly obsessed with gallery walls. I've been in the new house 1 month today ad already have 4.5. Today I made a new personalized addition to one of those gallery walls using a vintage puzzles, Tacky Dots and Instagram photos. 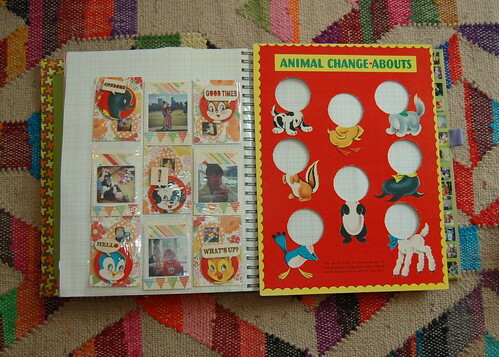 I was lucky enough to score this vintage 'Animal Change About Puzzle' at a flea market earlier this year. 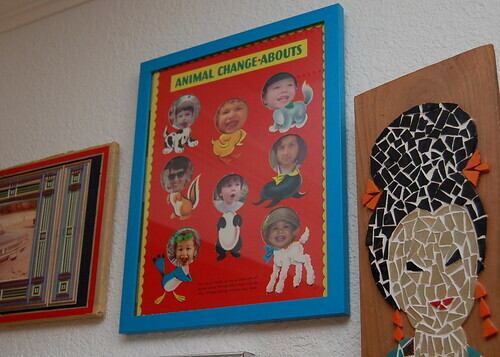 When I bought it I new exactly what I was going to do with it, change out the animals with my kids heads. 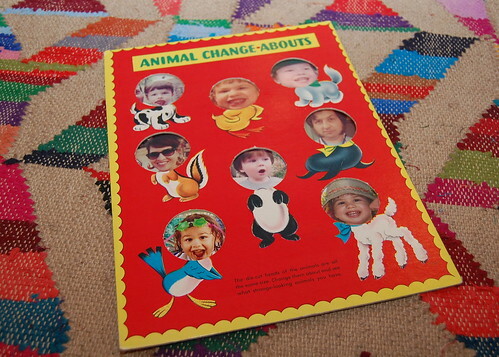 They are always pretending to be various animals so why not. The first thing I did was select the pictures. 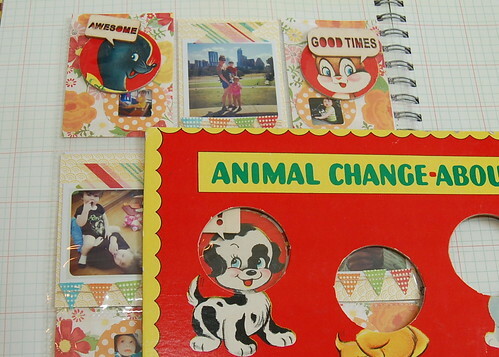 Once I made a life choice on the pictures I used a scrapbook punch to make circles. You can use scissors too. 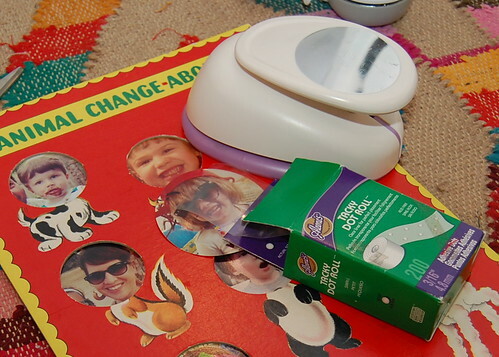 Using my Tacky Dots I attached the pictures to the back of the puzzle. All that was left to do was put the puzzle in a frame and hang it on the wall. I think it fits in perfectly between the poodles, geishas and Native American Chief. Wondering what I did with the puzzle faces? Well wonder no more. They are adorning a page in one of my Smash Books. It was a win win situation. 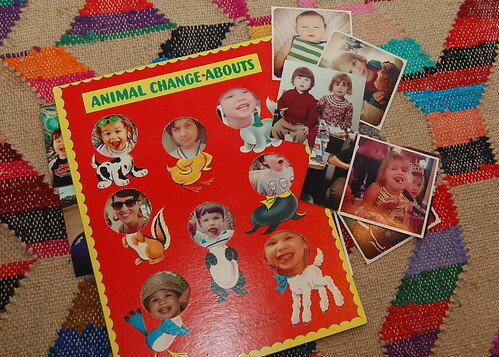 The puzzle is now a picture frame and it's pieces are adorning pictures. I am pleased as punch. 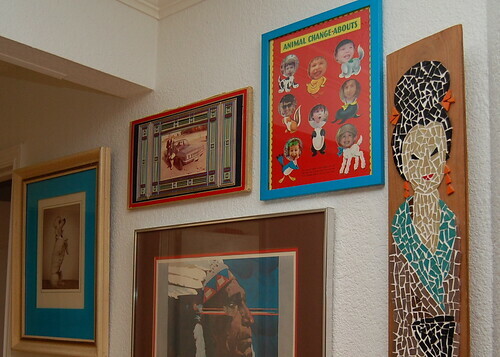 Looking for more clever ways to display your family photos? I have a few suggestions. 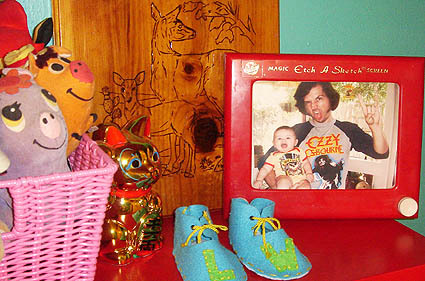 Here are 5 more kitschy up-cycled picture frames, 5 MORE kitschy up-cycled picture frames, terrarium picture frames, Easter frames, Halloween melted crayon picture frame, Neons and nature picture frame, 2nd place Valentine picture frame, Milk Bone memorial dog frame, Television picture frame, Cafeteria tray picture frame, Wee witch shrine, and 3rd place canoe daddy! Oh and is this the first time I have combined pictures and puzzles? Nope, I almost forgot this Grandparent's Day picture puzzle. 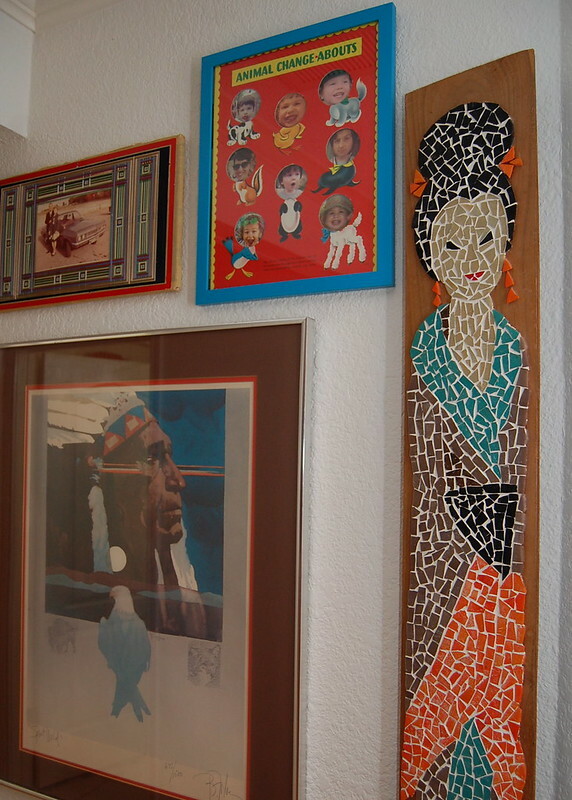 Upcycling a puzzle into picture frame is an interesting and pleasurable experience to have for memorable wall hanging. Hope to see other posts from you. You are so creative! That's impressive.